President Trump was attacked last week when he said there were bad actors on both side. The Democrats, the Media and some Republicans denounced him for daring to say there were bad people on the Left. 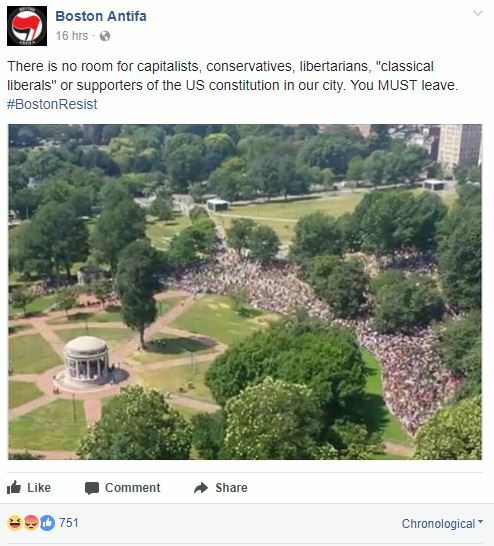 The message posted yesterday on the Boston Anitfa Facebook page couldn’t be clearer.